Jean Perry is the woman who keeps the trains running here at Den Aviary. She’s our fearless Digital Project Manager, Queen of Timelines, Ruler of Deadlines, and all-around on-point taskmaster. Read on for more about this animal lover, cancer survivor, and proud owner of a Blessed Purse. You’re a Chicago native, right? I’m from the western suburbs - a tiny little town called Winfield. I lived in Arizona and then Utah, then back to Chicago! I saw an ad on the CIMA website for this role at Den Aviary, which is how I joined the company. What’s funny is I used to work with Lee like 20 years ago–and then a year later he started here too! What are you up to outside of work? Well, I’m going back to voice lessons. I did it for a few years a while back, and I really loved it. So I’m trying to get back to it - my coach is awesome. Since you’re a singer, I have to ask: what’s your go-to karaoke song? “Killing Me Softly” by Roberta Flack, in the style of the Fugees. I slay it. Where’s the farthest place you’ve traveled? I went to Italy in 1987 with my dad. We spent most of our time in Rome and Florence. We visited Pompeii, Serrano, Naples… it was pretty amazing. Pompeii was especially fascinating. It was cool and creepy, but made you think about how we’re all connected. I’m a major history geek. George and Gracie (brother and sister), and Zoe is the third (she’s George’s little girlfriend). I’ve had them all since they were kittens. They’re all over 12 now - time flies! The last dish I made was AMAZING. My grandmother’s Chicken Marengo recipe - she used to make it when we were kids and I loved it. My sister gave me her recipe book. It’s a white wine sauce, herbs, tomato, olives, lots of garlic… Mmmmm. You battled cancer last year. Do you mind talking about that? I was diagnosed last April (2016). My first appointment was the day Prince died. It was three days after the diagnosis and I’m sitting in the oncology ward with my sister watching Prince footage, holding my pink binder (everything they give you is pink). I went through surgery, chemo, and radiation - in that order. It’s been almost 9 months since my last treatment! These guys [at Den Aviary] were so freakin’ amazing about it, I can’t even tell you. It’s really a great place to work. You’re such a boss, Jean. Congratulations on being free and clear! Eos lip balm, keys, wallet, Ventra card, earbuds And just yesterday, I pulled this crazy thing out of my purse: a vial of holy oil! When I was diagnosed last year, I got a little bottle of holy oil and a saint medallion (my sister’s mother-in-law is a wonderful old Irish Catholic lady). The oil had leaked in my purse, so I guess my purse is blessed now! I'm way better at giving advice than taking it. Whether you want it or not. Gif. Hard G. I think Brent does these things to be difficult. A successful email has a lot going on–there are so many variables to consider! What's in the subject line? What kind of content will be there? Is everything displaying correctly? Am I doing this right? PREHEADER: Lets customers know why the email is relevant. Keep it short (40-70 characters). 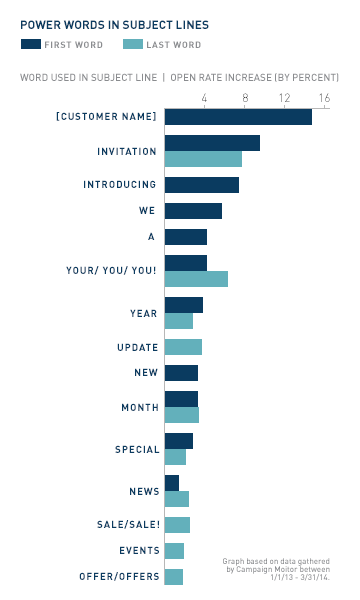 PERSONALIZATION: Emails with personalized subject lines are 26% more likely to be opened. Think about how to personalize other information in the body of the email based on your database. Contextual Marketing Focus on more of a 1-to-1 engagment. Tailor emails to specific subscribers for a more individual experience. DYNAMIC CONTENT: Show different content depending on recipient (think: menswear for male subscribers, womenswear to female subscribers). LAYOUT: Use a logical hierarchy with large headlines and images to focus reader attention. WIDTH: 600px is the sweet spot for most email clients. IMAGES: Use imagery that has context and meaning–should add to your message, not distract from it. Make sure your file sizes are small, but format images for high-resolution displays. Use alt text for clarity if images don’t load. FONTS: Use webfonts whenever you can! If you need to set a default font, make sure it’s a web safe font, not just a System font. Many popular email clients have default fonts. WHITE SPACE: Adding blank areas around important elements helps them stand out and increases click-through. MOBILE OPTIMIZATION: Use a mobile-friendly template. Keep text short and use clear, easy-to-click CTA buttons. CTA BUTTONS: Should be big enough to tap on a phone (around 50px tall) and have high color contrast. Keep occurrences to a minimum so the path for the user is clear. MOTION: Video and GIFs are a great way to add visual interest to an email. Ideal GIF size is under 1MB. COPY: Understand your audience and use an appropriate tone. Be sure to have someone else proofread your email before it's sent out to subscribers. FOOTER: It's a best practice to include your company's social links. Many footers also include an app download link, referral links, and contact information. Currently a New York resident (by way of Ohio, Pennsylvania, and Illinois! ), Lee Rosenthal joined Den Aviary in 2016 as our SVP of Client Success. This active guy and hockey lover celebrates his wife and two sons, and would like you to know that he used to have a lot of hair (we’ve got the photographic evidence). So Lee, how did you end up at Den Aviary? It was a long, circuitous trip. Jason [Sisley, founder] and I met 10+ years ago when we both worked at Rewards Network, a Chicago-based restaurant marketing company. And, in 2009(ish) when I was leading the Apartments.com Marketing team, we hired Kevin [Gales, COO] to help us with a major project. Over the years, Jason and I stayed in touch and then in 2015 we started talking about how we might work together again. In early 2016 I took a consulting project with DA, trying to help evolve and grow the relationship with Restaurant.com. From there, we decided to make it permanent and I joined DA full time on 4/1/2016. If you could have the email address of any famous person, who would it be? 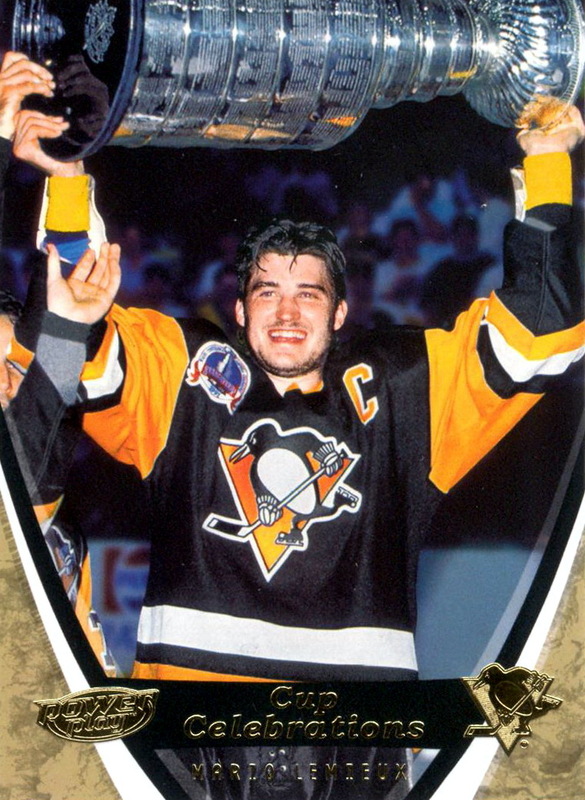 Mario Lemieux. Currently, owner of the Pittsburgh Penguins, and formerly one of, if not the greatest to ever play the game. And, he’s now as well known as a supporter and fundraiser for pediatric cancer causes. He’s put his name and success to work in ways that benefit others. Le Magnifique! What would you email him about? He’s found success in life through god-given talent, but moreso through sheer hard work, determination and an ability to make everyone around him a better member of an overall team. He has an ability to make a collective group better than the sum of the individuals. And he’s done it as a professional athlete, and, more importantly, as a person - giving his time, name and money to support pediatric cancer services and research. I’d love to ask him how he goes about making everyone around him work so well as a team, and how he does it in a way where others seem to benefit? How does he do it on such a big stage wherein he’s always working to make everyone else ‘better’. And succeeds. We hear you’ve got a new hobby! I’ve recently re-introduced myself to road biking and hope to spend a good part of this summer racking up the miles and experiences in/around Long Island on my bike. It’s a great way to exercise, let go of the daily stresses and to see parts of my town that I wouldn’t otherwise get to see. What’s the farthest you’ve traveled? I took a trip to Amsterdam with my wife, Amy. We spent a week exploring the city and nearby parts of the country - by canal, by bike and by foot. Early on we also found a favorite pub and spent late-afternoons watching the world go by. It was our one big trip, outside our honeymoon, before we had our son, Sammy. So, we look back at that week as a special series of moments and a time where we truly ‘checked out’ from daily life and enjoyed being together in a different part of the world. If you ask my son, Sammy, it’s French Toast. If you ask my wife, Amy, she’d say my best dish is my ability to make reservations at a nearby restaurant. If you leave it up to me, I’ll say peanut butter and jelly sandwiches. I think I’ll have one right now. “Back in Black” by AC / DC. When I lived in Chicago and commuted to the ‘burbs, this was the CD that was always in my car, to either help deal with the anger created by traffic, or a way to start a great road trip. And now, it’s often the song I play first when headed out for a run or before I head out on my bike. Do what makes you happy. Money doesn’t solve problems. It just creates more expensive ones. So, do what makes you happy. As our COO/VP of Business Development, Kevin Gales has been helping build and shape Den Aviary for years. This Northwestern alum was born and raised in Columbus, Ohio and currently lives in Chicago (after stints in NY/NJ and Washington, DC). Get the details as “KG” talks about Kobe, cocktails and his upcoming nuptials. I first met Jason and Andy back in 2005 - we were all a part of the email team at Orbitz. We all left Orbitz for other opportunities and found our ways back to working with each other in the last 4-5 years. We each brought our own skills sets to the team back then and still do today. What are you up to outside the office? I play tennis when I can, which is now few and far between. I’m currently helping plan my wedding, so that’s taking a majority of my outside-work time and it’s well worth it. If you could have the personal email address of any famous person, who would it be? Probably Kobe. I admire the intensity, focus and craftsmanship that he puts into being the best. It’s a reminder that talent is only part of the equation, to be the best requires much more. There are a few parallels between sports and business, and sometimes I draw inspiration from that type of thinking. Lasagna and short ribs. And I can also make a decent cocktail when the need arises. Keys, eye drops, my wallet, $23 in cash and a Ventra card. I couldn’t name just one song but I think it’ll include some Rick James, who we weren’t allowed to listen to growing up. Control only what you can control. Don’t worry about the rest. Gif, of course. Graphic starts with a hard “g”. Our fearless founder Jason Sisley spends his time traveling the globe and riding horses–when he’s not plugging away at the office, of course! Originally hailing from Orlando, Florida, this former skater kid lives in Chicago with his wife, and started Den Aviary 5 years ago. You’re a well-traveled guy, where’s your favorite place to go? Denmark! I have Danish roots on my mother's side and have always wanted to go, but I’d never been until our honeymoon. I just fell in love with it from an aesthetic perspective, and the people are really friendly. There’s this tiny little island in the south that's just beautiful, called Ærø. I specifically remember beautiful rolling mustard fields and riding bikes across the island for hours. It was gorgeous. That’s what what I think of when I think of Denmark. Riding horses is a big hobby of yours. How did you get into that? My wife! I actually had two “first” experiences. We went to Hawaii after we started dating, and she wanted to ride horses on the beach. But that morning, my pants and boots had been stolen from the trunk of our car, so I was in board shorts and reef shoes, galloping on the beach... it was very uncomfortable and I knew I looked like a complete dork. It did not stick. The real first time is when we went on a dude ranch vacation in Wyoming for her birthday. We met amazing people, the horses were awesome, and the surroundings made it a great experience so I got really into it. That’s when I decided I wanted to be a cowboy for the rest of my life. We're starting to get into competing now, which is another passion of mine. Oh, cool! What kind of competition? It’s called Eventing: there’s Dressage (which I'm terrible at), Show Jumping (which means I get to wear fancy clothes), and Cross Country (which I love more than anything on earth). You do all three events with the same horse over 3 days. If you could get a beer with anyone (alive or dead), who would it be? David Bowie, no doubt. He’d probably have a lager. I imagine he wouldn’t want a lot of fruity flavor in his beer. Pet Shop Boys - “You Were Always on my Mind” (Willie Nelson cover) If other people were around I’d turn it off, but if other people weren’t around I’d turn it up. I'm terrible at following advice. I forget it all the time. I say GIF, my wife says JIF. We have had real arguments about this.